ELVIS (need I say Presley) made thirty motion pictures - - thirty-two if you count the two documentary features at the end. All but a few in the waning years made lots of money for its producers and the theatres which exhibited them. 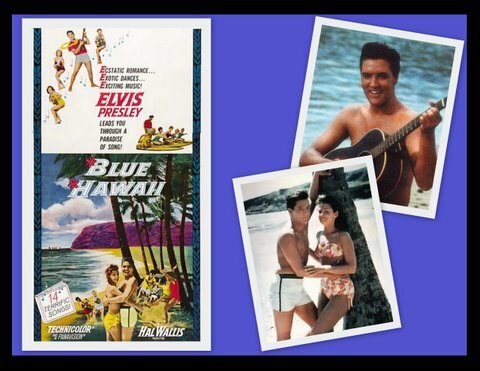 BLUE HAWAII, the eighth movie ELVIS made, was his highest-grossing film and one of his best. It was his first film after being released by the U.S. Army. Perhaps this is why movie-goers turned out time-after-time to see it. Regardless, they did turn out.